How Long Does a Laser Facelift Take? Let’s face it: You love the idea of getting a facelift. After all, who doesn’t want to enjoy tighter-looking skin, fewer wrinkles, and a well-defined jawline that takes years off their appearance? But a traditional facelift is a real surgery that may take some time for recovery. There are incisions with stitches, swelling and bruising. Is there another way to get the younger, tighter, and more revitalized appearance you’re looking for? The Precision TX™ Laser Facelift uses Nd:YAG 1440-nm wavelength laser energy to directly target fat and connective tissue beneath the skin. 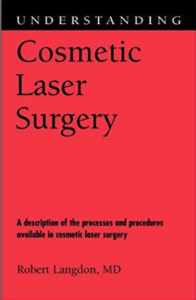 This laser energy heats and liquefies the fat layers, which are then reduced by liposuction of the neck and jowl areas. In addition to liquefying fat, the Precision TX™ Laser Facelift heats and stimulates collagen production, which promotes an instant skin-tightening effect. Over time, the heating process continues to stimulate long-term collagen production for results that last. This heating effect can lead to tighter, thicker, and firmer-looking skin. In fact, a recent study has shown that the Precision TX™ Laser Facelift procedure can result in 29% skin thickening in the treated area. Think that all this will take hours to perform? Think again — the procedure typically takes under 2 hours to perform in-office, followed by a relatively short downtime. 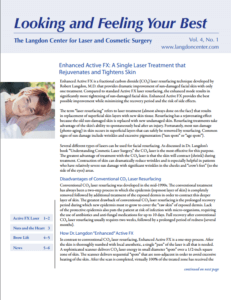 For more information about the Precision TX™ Laser Facelift — and to see if you’re a good candidate — schedule a consultation with Dr. Langdon at The Langdon Center for Laser & Cosmetic Surgery in Guilford, CT now or call 203-745-0340.